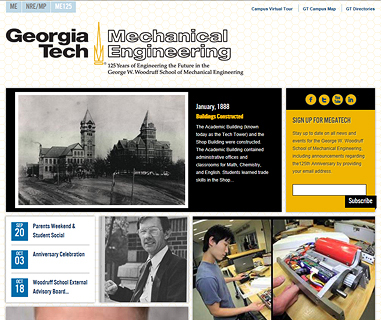 The 2013-2014 academic year marks the 125th Anniversary of the George W. Woodruff School of Mechanical Engineering. 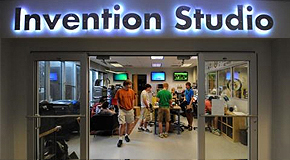 This monumental occasion will be commemorated with a year-long celebration, ME125, featuring special events, looking both back and ahead at the oldest School at Georgia Tech. The Story of ME is a series of videos that showcase the lives of students, alumni, and faculty who were impacted by their time spent at the George W. Woodruff School of Mechanical Engineeing at the Georgia Institute of Technology. Each is a story of a helluva mechanical engineer! Chip Wade, BSME '05, is the star of his own HGTV show, Elbow Room. He is the host, designer, and contractor for the show, as well as his life. Enjoy his story. 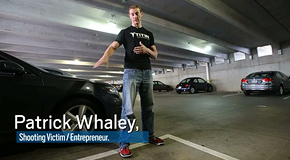 Patrick Whaley (BSME '10) tells the story of how adversity pumped life into his business, TITIN Tech, and gave him the sense to live each day as if it were his last. 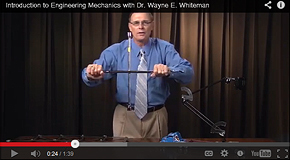 Wayne Whiteman will teach two massive open online courses (MOOCs) this Fall—Intro to Engineering Mechanics and Applications in Engineering Mechanics. Register to participate for free. We're 'decking our walls' (and our websites) to kickoff ME125, our 125th Anniversary Celebration. It's an exciting time around here and we look forward to offering you and your families many opportunities to celebrate with us.